China is a very important market for smartphone makers and mobile software developers with its vast cellphone user base. China's Ministry of Industry and Information Technology reported that there are nearly 1.1 billion cellphone subscribers as of October. Moре importantly, according to a report by Analysys International, 9 out of 10 smartphones purchased in Q3 2012 was running Android. Apple's iOS had 4.2% market share, while Symbian accounted for 2.4% of all purchases. 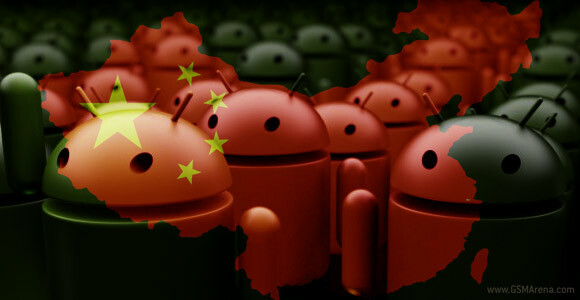 Part of the reason Android devices are so popular in China might be their aggressive pricing. The average price of an Android device for Q3 2012 was approximately $223 USD (CNY 1,393) compared to the average of $726 (CNY 4,523) that iOS devices cost. Symbian devices are the cheapest of the bunch, retailing for an average $178 (CNY 1,114) per device. It's quite astonishing that 80.6% of the country's population is using a cellphone, resulting in 71.83 billion text messages sent in October alone. Overall, the usage of feature phones is declining and during Q3, just 63.73 million "dumbphones" were sold, a 4.1% decline from September, and 7.5% year-over-year. I use Andriod OS. I like its multitasking. But it drains reources and battery life very fast. My S3 cannot even last 1 day.